Now that the confetti and horns from your New Year’s Eve celebration are going in the trash, it’s time to get down to the serious business of meeting or exceeding your goals for 2019. The first question is: do you have those goals written down yet? If not, then it’s time to get out the pen and paper and get to work. We are huge believers in lists and goals. These are always reassuring as, if you follow them continuously – just like a GPS – they will always guide you to your desired destination. We believe that what really separates successful and unsuccessful people is the mindset of establishing goals and then staying focused on taking the steps to fulfill them. Sure, you will have problems along the way. But as long as you are making continual advances – however slight – you will always eventually win. 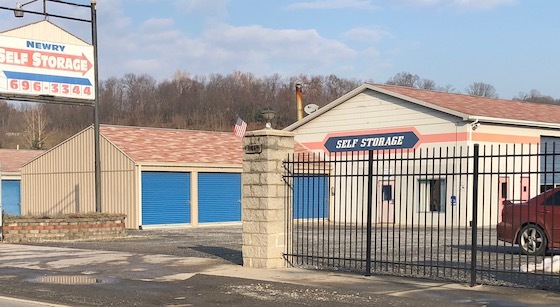 If your goal is to buy a self-storage facility in 2019, we’d like to help you achieve that. But the only way to begin is with a determination to make it happen and to persevere regardless of setbacks and hurdles. So let’s start today! There’s an old saying that you should “think like a person of action and act like a person of thought”. It basically means that there’s no point in having dreams if you don’t act on them. So if your New Year’s Resolution for 2019 is to buy a self-storage facility, then here’s a methodology of the correct steps to make that goal a reality. Warren Buffett is a voracious reader and studier of everything he invests in. And that theory should hold true for those looking at buying a storage facility. Before you risk your investment dollars, you need to understand everything about the business model and how to conduct proper inspections and due diligence. You can find a huge amount of free articles, books and courses here. Self-storage facilities come in a wide variety of sizes and price points. Before you begin your search, you need to narrow the field as to what the specifics should be. For most people, that involves sampling taking your available capital and multiplying by five – that is the size deal you can afford with 20% down payment. Also think about the amount of time you can invest as well as your appetite for risk. This will determine if you want a “turn-around” property – which can offer higher returns but with higher risk and time expended – or more “stabilized” varieties. For most investors, their initial “territory” is a radius of about 5 hours from their home. This allows them to drive to the property and back in one day, and that gives them a greater feeling of control and security. The truth, however, is that a good property does not need that much direct visitation, and a plane ride is as good as a car drive. But starting out it’s often hard to accept the fact that you can’t just jump in your car and get there. In many parts of the U.S., that 5-hour radius rule may unlock a huge amount of territory. In St. Louis, for example, a 5-hour radium encompasses no less than ten majory American cities. Once you know what you’re doing, have a basic territory established and know what the basic deal parameters are, the next step is to pour as many potential deals as possible into your “sorter” to find the ideal one. You will find these deals in several different places. We find our deals from five distinct sources: 1) On-line at sites such as www.SelfStorages.com and www.Loopnet.com 2) Brokers 3) Direct Mail 4) Cold Calling and 5) Physically dropping by facilities we’re interested in. You will be amazed at how many potential deals you can assemble in a short amount of time. You can’t get anywhere at this point unless you make offers on the deals you find. And don’t be concerned that your offer is at or near the asking price. We regularly make – and have purchased – deals at 50% of asking price. Remember that storage properties are valued based on net income and the asking price is either supportable or not. Also remember that construction cost is meaningless except as a point of historical trivia. Make good offers based on true income and let the chips fall where they may. But be a “deal maker” and not a “deal killer” so that you have the best chance of finding true value. And also remember that you can sometimes make a over-priced deal happen if it includes incredibly attractive seller finance terms. As long as you have due diligence and financing contingencies, there’s no reason to hold back on signing up contracts to purchase. It is common in the industry to tie up several deals at one time as you attempt to determine the best fit. Make sure that earnest money amounts remain low (shoot for around 1% of price) and that you have a complete mastery of your contract form. Benjamin Franklin once said that “diligence is the mother of good luck” and he’s as right today as he was 200 years ago. Those who do great property inspections seldom have bad endings, and it’s not because of “luck” but due to hard work. When you buy a property without knowing everything about it and its potential you expose yourself to gambling, and that can sometimes end in a catastrophe. Once you have put in the effort of performing great due diligence, don’t be afraid to take your findings to the next level and ask for a price reduction, if that’s warranted. If you were told the deal had a net income of $150,000 per year and you find it actually was $135,000, that means you need a 10% price reduction. You cannot let the seller push you around and pretend that the items you find in diligence are non-important or that you can “fix that yourself super-fast” after purchase. Again, the industry is totally based on net income and if it’s lower than expected – or the property needs capital improvement – that must be fairly addressed. You cannot be a successful real estate investor without understanding the necessity of proper leverage. Financing for self-storage facilities comes from three sources: 1) seller financing 2) banks and 3) CMBS. Each of these has its own benefits and disadvantages. The good news is that storage debt is plentiful because storage properties have the lowest loan default rate in the U.S.
A good deal has high reward and low risk. A bad deal has high risk and low reward. How does yours stack up? That’s a key item for discussion. When you take big risks – on a turn-around deal, for example – you should also have big rewards. But sometimes it’s the other way around, and that’s a bad use of your investment dollars. Once you’ve accomplished all of the above steps – and during – never forget that there’s no reason to think about anything without acting on it, and sheer madness to act on something without thinking out what you’re doing. 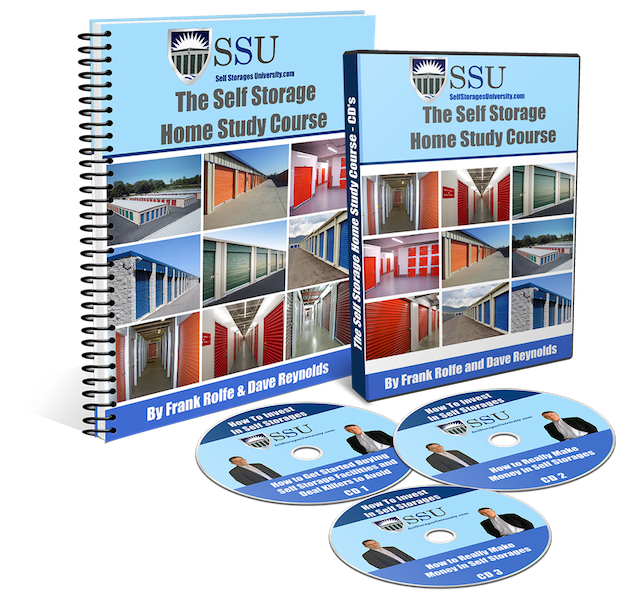 If you’re wanting to buy a storage property in 2019, that goal is definitely attainable, but only if you learn what you’re doing and take action on that knowledge. Learning, but not acting, gets you nowhere. The stock market ended down for the year of 2018. If you had risked your money in it, you received less than nothing for taking that risk. Meanwhile, CDs, bonds and Treasuries are yielding 1% to 3%. If you want to make real money with investments today, you have to venture into such concepts as storage investment, where 10%+ returns are the norm. Hopefully, this list will get you started. 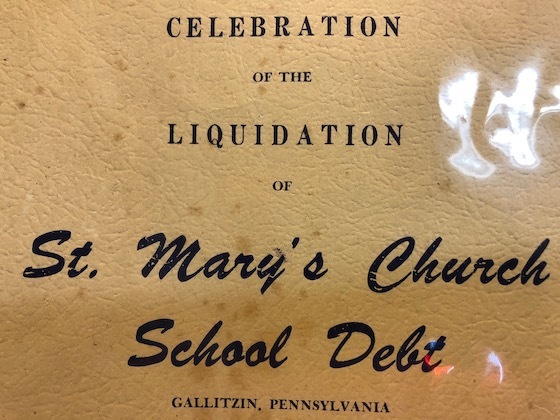 This is a program from a church event celebrating the fact that that it had paid off its debt. Indeed, most Americans feel that the best thing they can do in life is to have zero debt. But that’s not true in self-storage investing. One of the essential tools to making high return levels in real estate is the existence of debt. Indeed, sensible debt is an essential part of the business model. So why is it so important? Where high yields come from in real estate is “spread” – the difference between the loan’s interest rate and the cap rate. Here’s how it works. Assume that you buy a self-storage facility for $1 million that generates $80,000 in annual net income (which is an 8% cap rate). You put $200,000 down and take out a mortgage at 5% interest. Your “spread” is 3 points. The interest on the $800,000 loan [$1 million less $200,000 down payment] is $40,000. Subtracting this amount from $80,000 leaves $40,000 in return to you for your $200,000 down payment, which equals a 20% cash-on-cash return. That’s pretty impressive, right? That same $200,000 in a CD would yield only $4,000 per year at current rates of 2% -- so the storage facility yields ten times more per year. But what makes that possible is the loan leverage. If you paid all cash for the same property you would only get 8% cash-on-cash return – less than half as much. So if leverage is what leads to high yields, can you get too much of it? Yes, except under certain conditions. If you get a seller or bank note that is fully-amortizing (basically 25 years in length) with non-recourse status, then you can never get too much leverage. But if the loan is less than fully amortizing or is full recourse, then you don’t want to get too much leverage as it could crush you. For example, if you got that same loan described above with only $50,000 down from one bank and then the loan had a balloon and the next bank needed $200,000 down – and you didn’t have the money – you would be foreclosed on. Instead, you want to achieve a balance that we call “sensible leverage”. This gets you great yields with much lower risk. Self-storage investing has basically five types of debt structure: 1) all-cash 2) hard-money 3) seller financing 4) bank debt and 5) CMBS “conduit” debt. Of these, only the last three are “sensible leverage” options. As we discussed earlier, all-cash gives you poor yields. Similarly, hard-money debt has high interest rates that effectively preclude any “spread” at all (not to mention no oversight by banking laws and other risks). Of seller financing, bank financing and CMBS financing, all three offer “sensible leverage” options that are very attractive. Seller financing even offers no credit check or bank application stress. Since self-storage properties offer the lowest loan default rates in U.S. real estate, you will be surprised at how many lenders are attracted to these loans. Debt is nothing more than a tool. If you use it properly, it produces superior yields. If you use it poorly, it will be your worst enemy. “Sensible leverage” is the correct balance between the two. If you are buying a storage property that costs $2 million or more, the best way to proceed is to use the talents of a “capital consultant” (also known as a “loan broker”). And the best in the business is MJ Vukovich of Bellwether. Here’s how it works. MJ consults with you on what you’re trying to accomplish. He builds your loan package. He creates the list of potential lenders. He meets with them and get you financing offers. He presents the offers to you and advises you on the benefits and issues with each one. After you select the winning lender, he manages the loan all the way to completion. And for all this work he charges a small fee of roughly 1% -- a fee that you make back immediately in better terms than you could probably obtain. We’ve been using MJ for years. His number is (612) 335-7740 and his email is [email protected]. Contact him and see what he can do for you. The majority of self-storage facilities have an on-site manager. As an owner, this manager is the most important member of your team. But it’s ultimately your responsibility as to the selection and continued employment of this individual. And sometimes the storage owner holds on to long. There is not much depth to the typical storage property. You have a manager and that’s it. Or maybe you have a manager and an assistant manager. But any way you cut it, your business model is like a private plane with only one engine, and you do not have the luxury of having a poor manager and succeeding unless it’s a fantastic location with infinite demand. How much financial damage are you willing to inflict on yourself? If you have a bad manager, you will not be able to hit your budgets. And that will cost you a fortune. So there’s a financial urgency every day that you do not fix your manager problem. For example, let’s assume that you have a manager that is less than optimal. They are terrible on renting units, collecting rent – virtually everything. As a result, you miss your budget of net income by $50,000. That’s not only $50,000 out of your pocket, but it gets much worse. Assuming your storage property is valued an an 8% cap rate, that $50,000 reduction decreases the value by $625,000! It has been our experience that a bad manager is a very difficult turn-around project. If you have bad people skills, developed over 30 years, it will take another 30 years potentially to fix them. And the dishonest manager that embezzles will unlikely be cured once they get caught and asked not to do that again. There are 10,000 Baby Boomers retiring per day in the U.S. That’s the #1 source of great self-storage management talent. Don’t ever think “I’ll never be able to find a decent replacement” because you certainly can. We’ve hired retired Baby Boomers who offer unbelievable job skills in sales, collections and management that were earned over a lifetime of hard work. It’s true that it’s “easier to change people than to change people” – and you should not let a bad manager drag your investment down. Instead of accepting poor performance make a change for the better. Stanley Marcus, the founder of Neiman Marcus, once said “take your markdowns in people and merchandise as quickly as possible”. He never owned a storage property but he knew what he was talking about. How Will The Death Of Retail Impact The Storage Industry? This is a photo of a nearly abandoned indoor shopping mall. All that’s left is one anchor and small collections of shops. This is the harsh reality of shopping malls today, in which it is estimated that 20% will close over the next five years. So what are the ramifications of failing shopping malls on the storage industry? Fewer items to store? Or are they just coming from different sources? Don’t be fooled into thinking that the decline of the shopping mall is the result of the decline of the American appetite to acquire material assets. That’s simply not the case. Instead of buying items from Sears, Americans are buying them on-line. Just look at how many Amazon trucks you pass each day. The decline of giant shopping malls has brought many more lenders to re-think what makes for a good real estate loan. Unlike shopping centers, self-storage currently has the lowest default rate of any type of commercial loan in the U.S. And this is becoming widely respected as the most important feature of the modern real estate loan, given the highly stressful American business market. It’s also worth noting that the collapse of shopping center values makes the desirability of all other sectors go up, as the investment dollars have to go somewhere. We remember back when shopping centers were the go-to strategy for large portfolio funds and the cap rates were ridiculously low. These same groups will now be pulling out of that sector and going into others, like storage. This raises values. 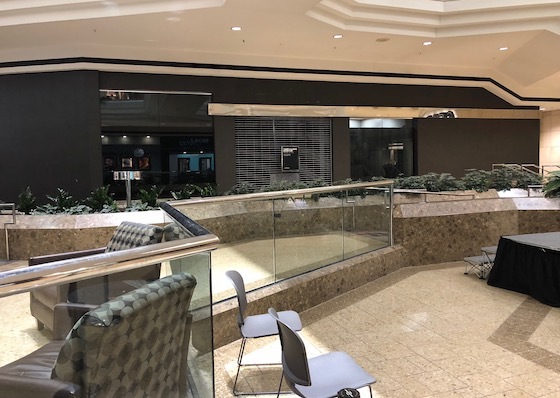 One final, interesting aspect of the decline of malls is the fact that storage has been mentioned by many lenders as the only potential salvation. You may one day see storage investors retrofitting those old anchor stores into multi-level self-storage properties. What a strange ending to the era of the malls. The death of the shopping mall only has good ramifications for self-storage. It also proves that storage is one of the few real estate sectors that does well in both good times and bad.